Minutes from the beach and all Homer has to offer! Property 10: Minutes from the beach and all Homer has to offer! Property 11: Homer Apt. w/ Deck & Panoramic Mtn. & Bay Views! Property 13: Homer is waiting for you... come and visit us soon! Oceanfront Luxury Suite Overlooking Kachemak Bay and Homer Spit! Property 15: Oceanfront Luxury Suite Overlooking Kachemak Bay and Homer Spit! Property 16: Oceanfront Luxury Suite Overlooking Kachemak Bay and Homer Spit! Property 20: Oceanfront Luxury Penthouse Overlooking Kachemak Bay and the Homer Spit! 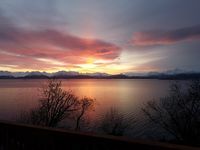 Property 21: Kachemak Ridge beautiful house... most beautiful views in Homer! Oceanfront Luxury Apartment Overlooking Kachemak Bay and Homer Spit! 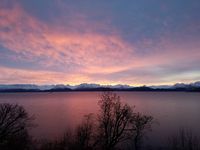 Property 26: Oceanfront Luxury Apartment Overlooking Kachemak Bay and Homer Spit! Quiet, private, unique - a place with a difference. 2 miles from Homer. Property 35: Quiet, private, unique - a place with a difference. 2 miles from Homer. NEW! Secluded Seldovia Studio w/ Lake & Mtn Views! Property 38: NEW! Secluded Seldovia Studio w/ Lake & Mtn Views! Great place to stay. Nice view, clean, and all around a great accommodation. Every morning we woke up to the most breathtaking views. We enjoyed coffee on the deck overlooking the spit, mountains, and glaciers. We were so blessed by the surroundings as well as all the interior features. Well appointed furnishings, tall ceilings and peaceful settings. We fully recommend this rental!